Can You Sue for Product Liability Even If a Product Was Recalled? On behalf of admin of JML Law, A Professional Law Corporation posted in Product Liability on Wednesday, Jan 31 2018. In a world where defective products cause thousands of injuries and dozens of deaths of Americans every single day, it’s reasonable to wonder: when a company recalls a defective product, can you still seek product liability damages? This has been the question on the minds of many U.S. citizens after Panera Bread recalled all of its 2 ounce and 8 ounce cream cheese products sold at 2,000 locations across the country. Estimated millions of products have been recalled by the company over fears of Listeria. The company decided to preemptively recall the products after deadly bacteria Listeria monocytogenes was found in samples of one of its cream cheese varieties. No injuries reported: but what if there WILL be injuries? Panera Bread insists, however, that there have been no injuries and illnesses reported associated with the deadly bacteria, which causes listeriosis and kills 1 in 5 victims. JML Law has been receiving tons of questions from concerned consumers across California since Panera Bread recalled millions of its products. The primary concern was: what if someone gets injured (or dies) after eating Panera Bread cream cheese after the recall? 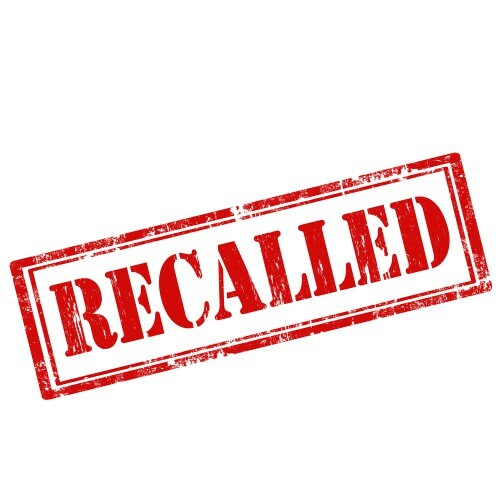 Will the company NOT be held liable because it issued the recall? Today, our best Long Beach product liability attorney at JML Law will answer your questions. First of all, it’s important to praise Panera Bread for its quick actions and for going the extra mile. Unfortunately, most manufacturers choose to wait for complaints from consumers or reports of injuries or fatalities before recalling products and losing an enormous amount of profit, not to mention the blow to the company’s reputation that is associated with cases of product liability. Panera Bread, on the other hand, recalled millions of its products before waiting for reports of illnesses and included at least 10 varieties of cream cheese in the recall list even though only one variety was tested positive for Listeria monocytogenes. Can you sue a company for product liability AFTER a recall? Our Long Beach product liability attorney at JML Law explains that you can file a product liability lawsuit if you or any of your loved ones suffered injuries (or died) from defective product even AFTER it was recalled. Under California laws, a U.S. citizen is legally entitled to seek financial compensation for his/her injuries and damages caused by a defective or otherwise dangerous product. You can hold manufacturers liable for producing defective products regardless of whether or not the product was recalled prior to your injury or illness. Therefore, our product liability lawyers in Long Beach explain that if anyone develops an illness or dies after consuming the affected Panera Bread cream cheese products, they will be able to seek product liability damages even though the product was recalled. Who can be held accountable for product liability? Under product liability laws in California, you can file a lawsuit against multiple parties for their neglect to maximize the value of your claim. retail store that sold the dangerous product. In order to file a claim, it’s highly advised to seek legal help from a Long Beach product liability attorney to maximize the value of your claim and have better chances at obtaining financial compensation for your injuries and damages. In order to win a lawsuit, you will be required to, first and foremost, prove that the product in question was defective or faulty when it left the possession of the manufacturer (or seller), and that you used the product in a reasonably foreseeable way. Contact our attorneys at JML Law to discuss your case right away. Get a free consultation by calling our Long Beach offices at 818-610-8800 or send an email.